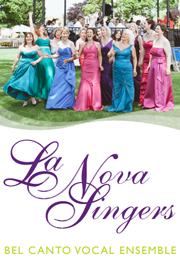 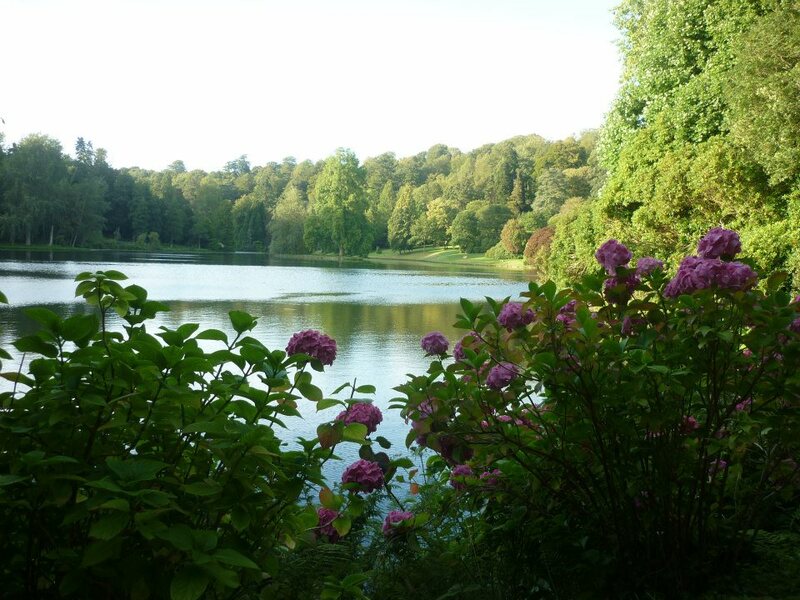 Marie Curie Walk Ten at Stourhead Gardens – La Nova Singers… Blog! 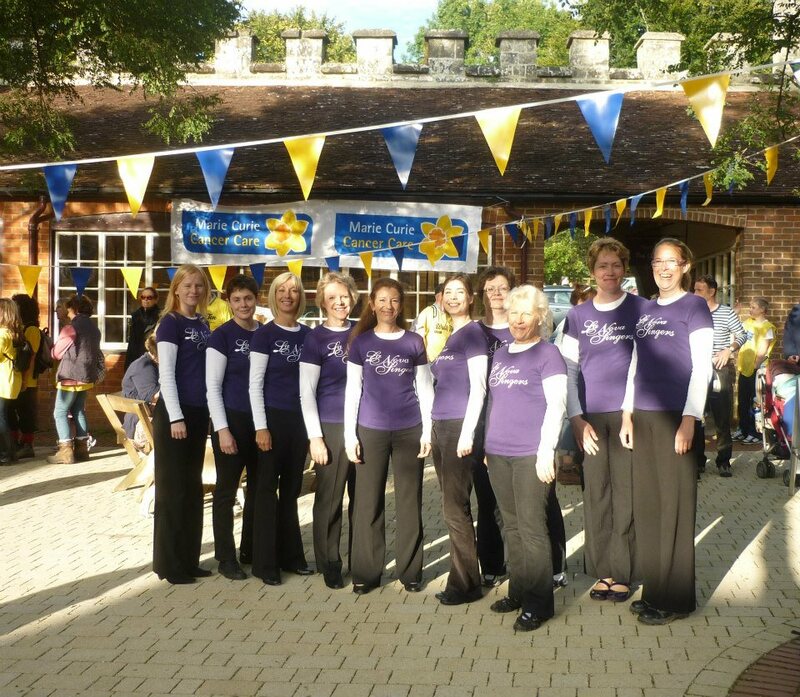 In early September, the singers made their way to Wiltshire to perform at a very special event: the Marie Curie ‘Walk Ten’ twilight walk. 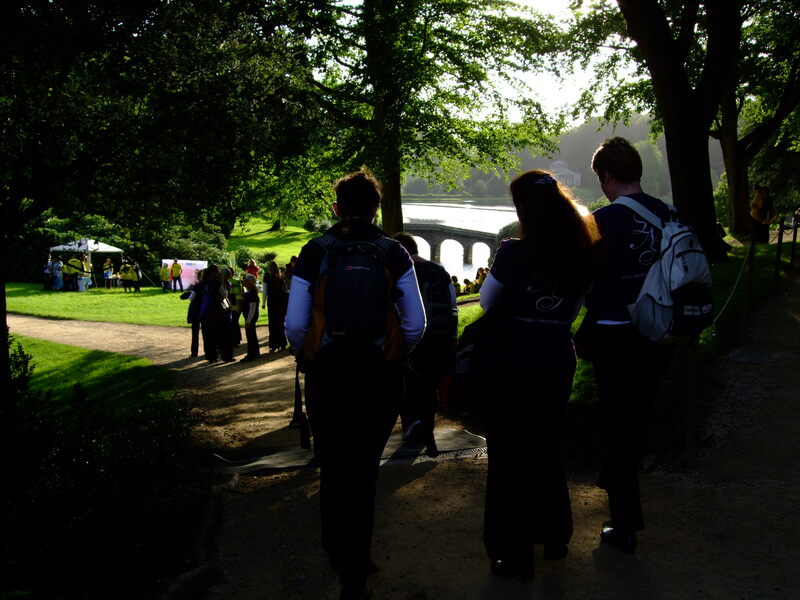 Hundreds of walkers were serenaded in distinctive La Nova style as they strolled past Stourhead Gardens’ famous lake, by way of a mystical hidden grotto. 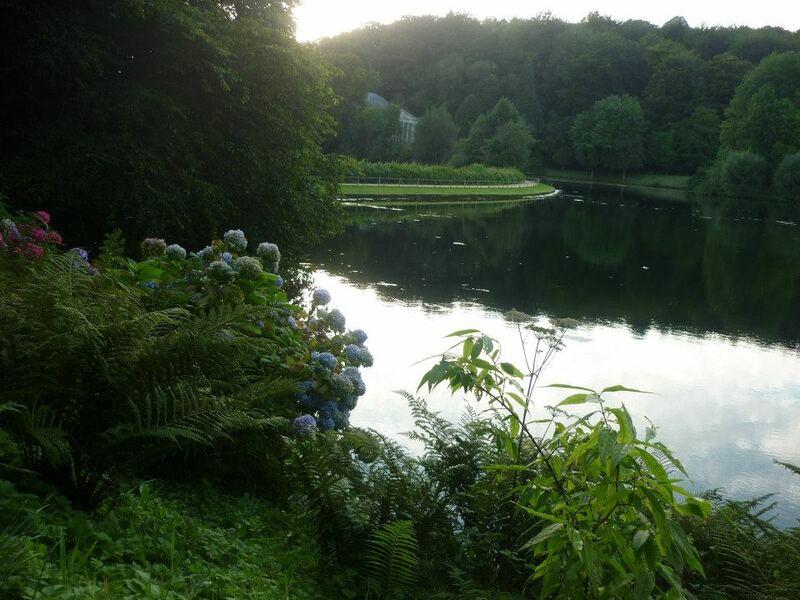 Later, as the sun was setting, the singers perfomed ‘You’ll Never Walk Alone’ and ‘Bridge Over Troubled Water’ as memory lanterns were lit and lights twinkled amongst the trees. 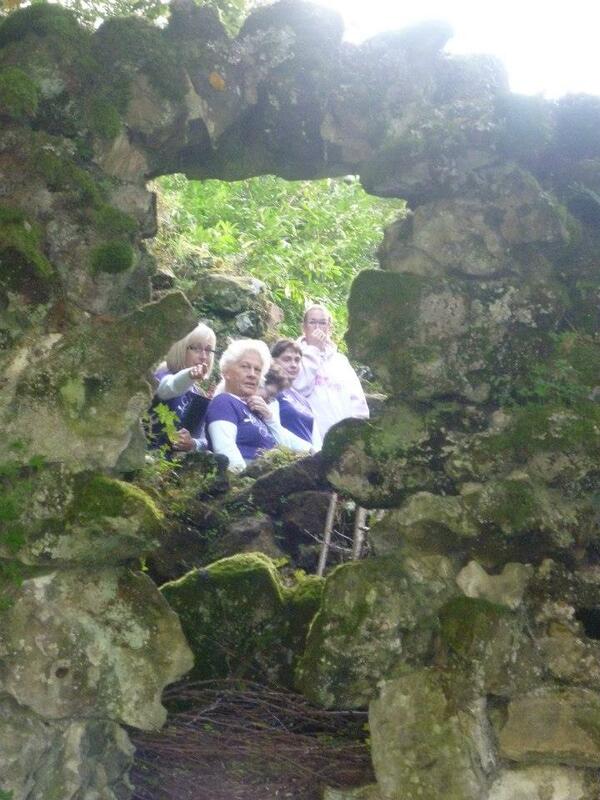 We’re not sure if the above photo shows us imitating a ring of dainty fairies… or a coven of crafty witches. 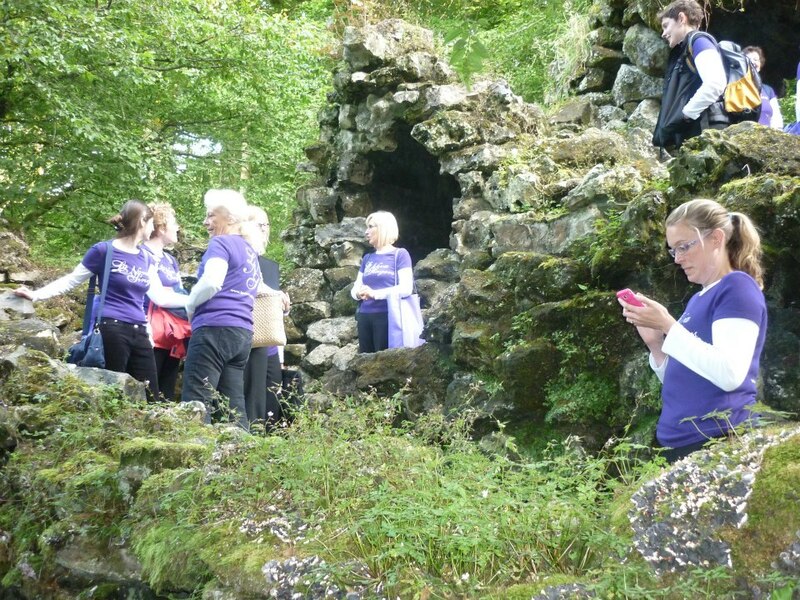 Hail thou, Macbeth! 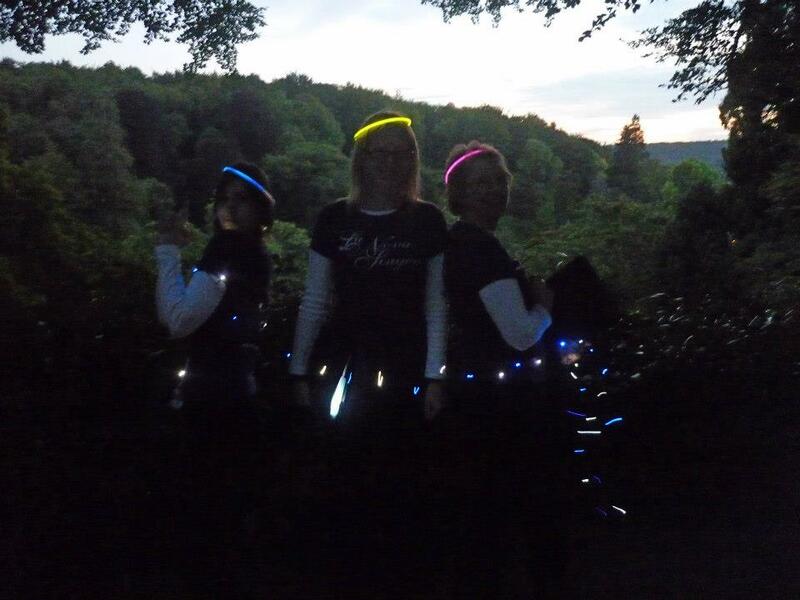 As the sun sets over Stourhead, out come the fairy lights and glow-in-the-dark halos, and La Nova Singers strike a pose (… that unfortunately doesn’t show up very well on camera because of the aforementioned sunset)! 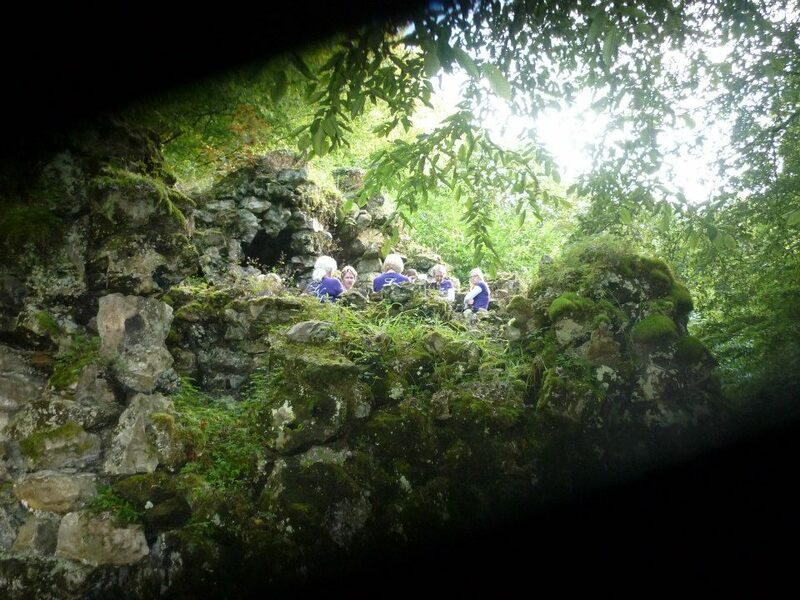 Stay tuned for video footage, filmed in the dark, where it appears as though we are being conducted by a phosphorescent Creature from the Black Lagoon…!